The South Korean auto giant Kia Lucky Motors is again came back to Pakistan and they are bringing the powerful and much-loved SUV back in the Pakistan market. The 4th Generation Kia Sportage is packed with many amazing features including a new design, more powerful and more efficient engines that gives impressive fuel economy and power efficiency. The two (2.0 L or 2.4 L) four-cylinder turbo engine leads to 240-horsepower and 6-speed automatic transmission provide a smoother drive on the roads. Kia Lucky Motors Pakistan is aiming to start local production of vehicles by the first quarter of the next fiscal year 2019-20 i.e. between July and September 2019. Under the agreement, Kia Lucky Motors is supposed to set-up an automobile assembly plant worth $115 million in Karachi. The company aims to produce a wide range of commercial and passenger vehicles. According to social media rumours the South Korean automaker has already sold out few CBU Sportage cars in Pakistan and got positive and better experience from Pakistani customers. Now, the company may launch local assembled of KIA Sportage in August 2019 that is the need of Pakistan’s Customers. 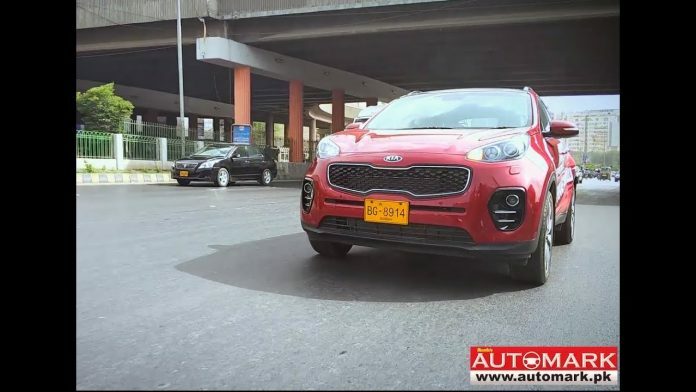 Kia Sportage will be priced is not confirmed yet however, some sources saying its around PKR 4,000,000 in the Pakistani market and in upcoming days it will be seen running on the roads.